Is Zone Control the Answer to Your AC Problems? After you get your central air conditioner, there will be a world of difference in how comfortable you’ve become during the summer months. You’d certainly never want to go back to not having central AC. 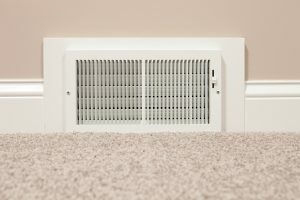 Even then, we still hear some common complaints regarding home comfort that simply can’t be solved by your basic professional air conditioning service in Hammond, LA. What these complaints all have in common, however, is that zone control systems can help. Posted in Air Conditioning | Comments Off on Is Zone Control the Answer to Your AC Problems? Will Your Home Comfort Last the Whole Summer? Summer is in full swing, but with the way things have been the last few years, we might still be sweating by the time Christmas arrives. Just last May, Louisiana experienced its second hottest day in over 70 years. 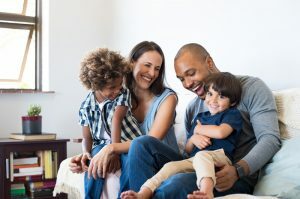 For a homeowner with central air conditioning, it begs the question: are you and your family prepared to ride out the heat? If your goal is to stay comfortable even during the worst temperatures this year, we have a few ideas that can help. Posted in Air Conditioning | Comments Off on Will Your Home Comfort Last the Whole Summer? Efficiency is all about two things: time and money. And when it comes to air conditioning, all everyone ever talks about is efficiency. After all, inefficiency can add dollar signs to your monthly energy bill. It’s no surprise, then, to find out that homeowners have come up with some clever ways to try and beat the efficiency game. But the truth is that they’ll only do more harm to your wallet in the end. To clear up the fact from the fiction, we present three myths about air conditioning efficiency. 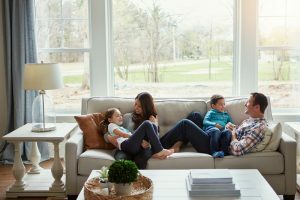 Summers come early and stay late in our neck of the woods, and when the temperatures start to rise, your air conditioner is as vital to your home as the electricity or the plumbing. Breakdowns, when they come, tend to arrive at the least opportune time, and often leave you scrambling to get the problem fixed in the midst of a dreadful heat wave. Our team moves swiftly and can respond to repair calls very quickly when they’re needed. But we also believe that an ounce of prevention beats a pound of cure. An air conditioning service session now, before summer heat has really begun, can help lower the risk of repairs. Hot weather comes early in Louisiana, and that means your home needs a reliable air conditioner to stay cool. If your system is on its last legs and you don’t think it’s going to last for another one of our long summers, now is the time to replace the system. Doing so gives you the chance to schedule the replacement at your leisure, while the weather is still cool. It also gives you a chance to enjoy the benefits of the new system as soon as the temperatures start to rise. We’re in the off-season when it comes to air conditioning, and while the weather rarely gets cold here in Lousiana, it’s as mild in January as it will be all year. That makes now an excellent time to get your air conditioner checked and make any adjustments you need to before you must use it again. 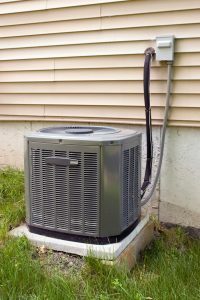 Warm weather seems to arrive earlier every year, but if you’ve made the proper preparations, you can make sure that your air conditioner is ready to handle anything. Air conditioners rarely have a real off-season here in Louisiana, and there’s always the chance that an unexpected heat wave will bring it into service again. By and large, however, winter temperatures are mild, which means it’s a good time to give your air conditioner a close look. Considering how often we use ours in this part of the world, it pays to schedule servicing sessions at least once a year, and if it’s been more than 12 months since you last one, now is the perfect time to set one up. What is a servicing session and why should you schedule one? Read on for the answers. We’ve reached the end of air conditioning season here in Louisiana, but with our mild winters, you can never be sure when you might need yours to function again. The cool days of late fall and early winter make an excellent time to take stock of your system and schedule repairs if necessary. 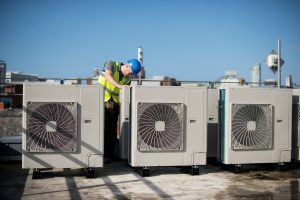 The same holds true for commercial air conditioning systems, which have more complex needs than residential systems and which need a high-quality service to keep them maintained. Reliability in such services is supremely important for the health of your business. Here in Louisiana, air conditioning season is almost year ‘round, and while we get our share of cool weather, heat waves can hit almost any time of year. There’s a tendency during the cooler months to let problems with the air conditioner sit tight until the spring: relying on fans when things get warm and running the heater instead of the air. In most cases, however, this can be a big mistake. 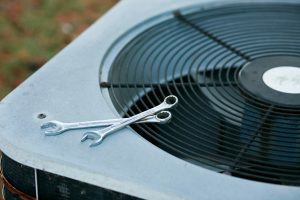 If you have a problem with your air conditioner, you shouldn’t wait until spring to get it fixed. Autumn means cooler temperatures, even here in Lousiana, and that means that your air conditioner can finally take a break after a long hot summer. 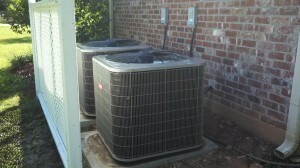 It also means that you should schedule a maintenance session for your air conditioner as soon as possible. Maintenance most closely resembles a tune-up on your car: it’s a chance for a trained technician to check for possible problems and let you get an early jump on them should any crop up. The aim is to help save you money in improved efficiency, but also to help prevent repairs further down the road. Here’s a little breakdown on how that works.